Pawn your Cartier Watch! We offer Loans on Cartier Watches! When you think of the Cartier brand you think luxurious aesthetics and sophisticated, innovative watch engineering. Certain older models are growing in popularity, particularly those that are more difficult to come by, and they are demonstrating a real ability to maintain their value. This is making them a popular asset for investments, and for collateral in asset loans. People on a mission to “pawn my Cartier watch in London” can now take out loans on Cartier watches at our shop in London, in order to swiftly raise some capital to fund another purchase or investment. 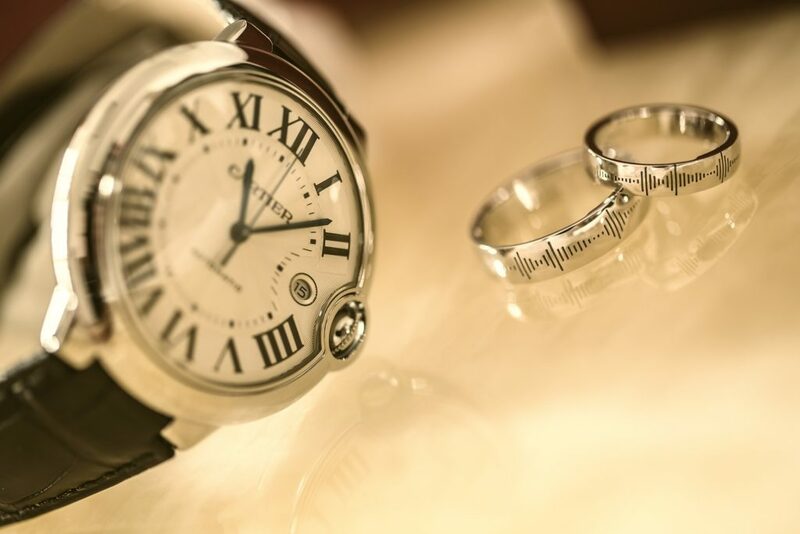 At New Bond Street Pawnbrokers our doors are always open, so you can come along and have your watch valued. We recommend calling ahead to make a proper appointment if you plan to pawn your Cartier watch, and ask any questions you may have before your visit. Should I pawn my Cartier watch? Cartier watches can be very valuable, but they are not all created equal. There are many factors to consider, and your watch could potentially be significantly more valuable than another watch that appears to be identical. Before deciding whether or not to pawn your watch, you need to understand exactly how valuable it is. The condition of your fine watch has the biggest impact on the price you will get for it. A timepiece that has been lovingly cared for and treasured will have retained more of its value, making it an appealing prospect for collectors. When assessing the condition of your Cartier watch, appraisers will examine both its outside appearance and its interior functionality. As you might expect, an older collectable item is likely to be far more valuable because it will have become rare. Cartier was founded in 1847 in Paris, and has been crafting innovative timepieces ever since. If you have a Cartier watch in your possession that is over 100 years old, it could fetch an enormous sum from fine watch collectors if it is in good condition. There are many iconic watch models among the Cartier portfolio, built up over the better part of two centuries. Some have been runaway success stories, while others have had little impact on the market. Today, some are more desirable than others, most notably the Santos, Tonneau and Tank series’. The latest incarnation of the Santos is the Triple 100, released in 2008, credited as the first ever rotating-dial mechanism, while the Santos Dumont Skeleton watch has been known to sell for more than £40,000. Loans on Cartier watches of these models are sure to fetch a pretty penny. Cartier watches are much easier to appraise if you can demonstrate the provenance you hold. If you have searched “pawn my Cartier watch” then you will want the most valuable collateral possible. This will be helped by things such as proof of purchase, service history and certificates of authenticity. A secure, confidential service for every client. Expert appraisals from professionals with 25 years of experience valuing fine watches. We offer fair, up-to-date market rates all year round. We can lend on your Cartier watch on the same day you come in for a valuation if required.